Description: Finding the perfect wallet for Black Tie is always a challenge. 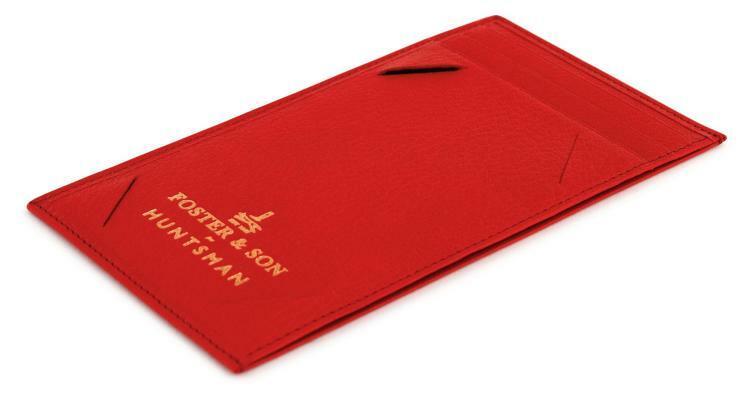 Inspired by their commission of the bespoke despatch box (see lot 42), Huntsman asked their partners at Foster and Son, to use the same Royal Red leather to create this Huntsman evening wallet. Perfectly slimline for evening wear, it has been precisely specified to carry two credit cards, note paper and cash notes if required.